Teething time is no fun….all the crying, the sleepless nights, the crankiness. I’m sure it’s hard on the baby, too! Seriously, though, if you have ever been around a teething baby, you know the mixture of sadness for them and frustration for the situation at hand. Whenever I took care of teething infants, I used many different items to try to soothe their pain: wet rags, teething cookies, my knuckle, my wallet, the coaster on the end table. You do what ya gotta do. What’s worse than one teething baby? TWO teething babies! Totally kidding! These little ladies are precious! 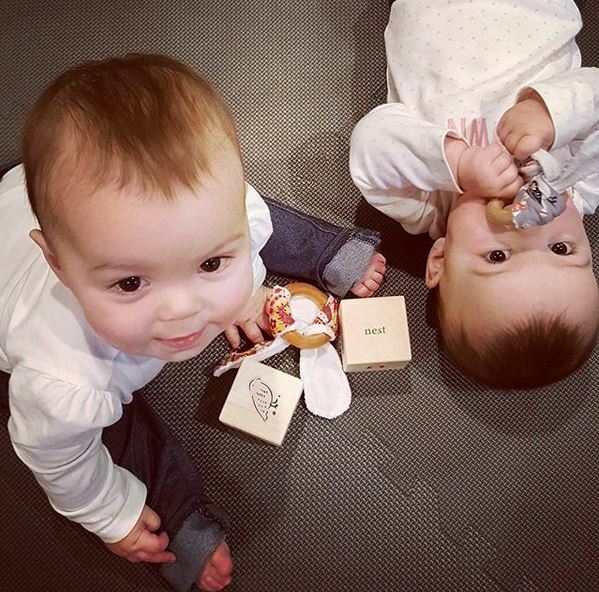 One of the teething trends right now is using wood as a teether. There are always pros and cons to any teether. Today I’d like to go over those with you so that you can be better equipped to decide if wooden teethers are right for your little one. beeswax, olive oil, or a combination of both. This treatment helps moisturize the wood. Some rings can be purchased with or without cloth attached. The cloth is usually in the shape of “bunny ears” or a square like a wash cloth. The cloth’s purpose is to help absorb up the drool. For this reason I am a fan of a teether with a cloth attached, preferably one that can easily be removed for washing purposes. 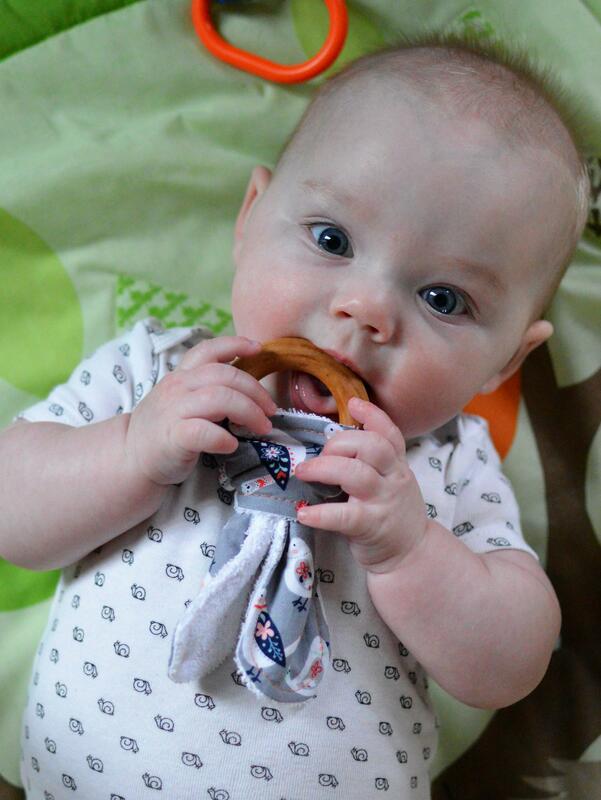 If your little one is drooling a lot, I’d also recommend getting some bandana bibs. 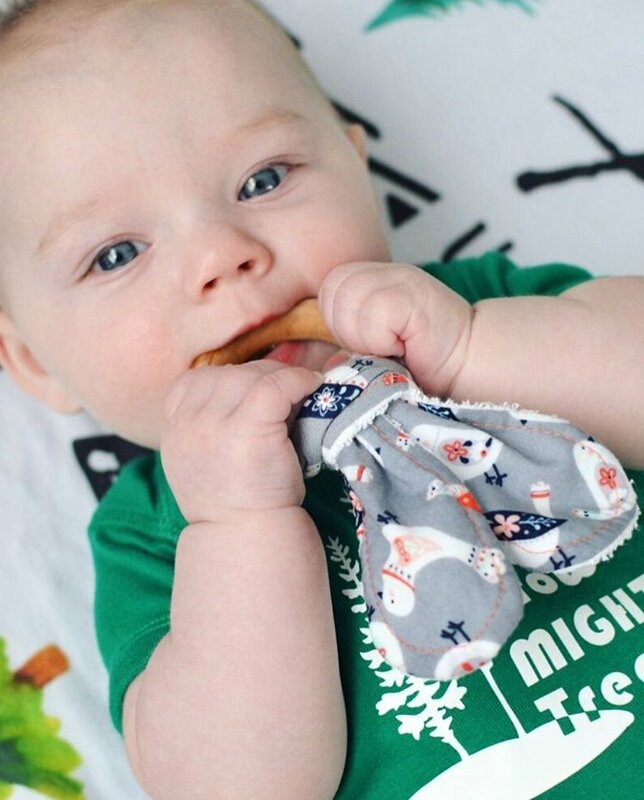 They are technically made to be fashionable drool bibs and will help absorb up the moisture. If it starts to dry out, rub it down with oil. You can use olive oil, just keep in mind it will eventually go rancid. To avoid that, use coconut oil. If you see any cracks or splintering, toss it immediately. When properly cared for, they are a great, non toxic, and natural teething option. I hope you found this helpful! I do sell teething rings, however they are not available online. If you are local to Atlanta, you can purchase them at the beehive atlanta or The Local Exchange in Marietta. Join my members only group for exclusive offers and chances to win free product!